The Guitar Center President’s Day sale is a gift that keeps on giving! In new condition, you can get the black color scheme of the TEAC HA-P90SD DAC/amp/DAP for $230 with free shipping or free ship to store (aka store pickup). No coupon is needed, the price you see is the price you pay during this promotion. Not to be confused with the famous jeans, the TEAC UD-501 dual-monaural DAC/amp is fully unlocked at Massdrop for $360 with free US shipping, running for the next two days and change (from blog-posting time). It will ship in mid-March from Massdrop, with all sales final. A warranty card is included. Only 40 units are available for this drop, and as of the time of writing, 19 of them have been claimed. Another Prime-members only, the new condition TEAC HA-P90SD-R DAP, DAC/amp drops to $296 from $370 when you add it to the shopping cart thanks to 20% off automatic in-cart discount for Prime members. This has multiple audio inputs, and plays music from microSD as well, going up to DSD128. This is a red/black color scheme, with the Melisandre RED dominating. Choices are good, especially when they are distinct and not overwhelming 🙂 The TEAC Reference UD-503 Dual-mono USB DSD DAC/balanced Headphone amplifier is offered in manufacturer refurbished condition with a 2-year warranty per the listing by authorized dealer Hifi Heaven on eBay for $700 plus $30 flat shipping from the Green Bay Packers (okay, Green Bay, Wisconsin). On the other hand, you can get it in new condition for $800 from Hifi Heaven on eBay but with free shipping on this listing, and Musician’s Friend (available 10/21/17), along with B&H Photo (in-stock now) which lists 10/2/17 PM as the sale expiration date. The last time we posted about this in late May 2017 it was going for $239 but as of this recheck, the red color scheme of the TEAC HA-P90SD DAP and amp is currently available in “Used – Acceptable” condition for $195~ with free shipping by Amazon Warehouse Deals (AWD) actual. Speaking of Amazon, the Guitar PRO 6 software is on sale for $20 (mail delivery, not digital download). If you are comfortable taking a chance on open-box eBay items, eBay seller “Tony’s AV” (99.6%, Southern California) is offering the open-box TEAC HP-90 DAP in the black color scheme, for $259 with free shipping. There is only one unit available in black, and two available in the red color scheme. If you prefer new condition with full manufacturer warranty, you can get this from World Wide Stereo on eBay for $353~ with free shipping when you enter coupon code C20SPRING until Monday night. PS: the open-box for $259 is NOT eligible for the coupon. I discovered it while price-checking the new condition that is eligible for the coupon. PS2: there is a $10 overlay screen-protector for this that is Prime-eligible at Amazon. This is obviously a clear screen protector, they show the red DAP in the picture. Another drop is fully-unlocked at members-only but free-to-join Massdrop, it is the TEAC AI-101DA Integrated Amplifier with USB DAC going for $200 plus $9~ flat shipping. They are available in black or silver. You also have options to add the LS-101 speaker set for +$75 or buy the speakers outright without the DAC/amp (ha!). The offer runs for the next seven days (from blog posting date) and it is estimated to ship early February 2017. NOTE: this is not a dedicated headphone amp! UPDATE: our round-up of the CES headphones continues, with a more detailed look at the Audio Technica DSR9 and DSR7 Digital Signal to the Drivers mystery. If you like modestly-red colored portable headphone amplifiers, the red TEAC HA-P50 (with a “-R” appended to its name to signify the red) is currently on sale for $153.20 (such a very specific price) with a limit of five per customer at Amazon.com offered at this price by Amazon actual and a marketplace sellers. So the price looks like it may be a computer-generated price-match of marketplace seller? It averages 4 out of 5 but based on only 7 reviews. It has 3.5mm audio and Toslink, along with USB inputs, and a headphone out. It has a built-in rechargeable battery. PS: you can find more customer reviews at the other colors. If memory serves me well, these are a rebranded Tascam TH-02, it is the white-pink TEAC CT-H02 closed-back over-ear headphones currently going for $14, in new condition, by a marketplace seller with the order fulfilled by Amazon. Free 2-day shipping for Prime or with a $49+ order. They only have five customer reviews, but the Tascam TH-02 have 500+ customer reviews. It’s eBay time now, the official Best Buy store on eBay is offering the new condition red color scheme of the TEAC HA-P50 Portable Headphone Amplifier for $153~ with free shipping, with a limit of three per customer. Price-checking is always a good idea, Massdrop (MD) does not always have the lowest prices. Case in point, the TEAC UD-301 Balanced DAC/amp just launched at MD with the lowest possible price under the offer $350 shipped, but it’s handily defeated at the moment by Amazon actual offering it for $319 with free shipping. It is possible that Amazon actual’s price is an automated price-match of the two marketplace sellers offering it for the same price, so I don’t know how long this will last. The black color option of the TEAC-P50 portable headphone amp, in new condition, is currently on sale for $165 by World Wide Stereo at amazon.com. This ships directly from wWS, so no Prime shipping. Amazon’s own price is $167~ with a “1 to 2 months” shipping estimate. It averages 4.3 out of 5 based on 20 customer reviews. On the other hand, if you prefer a headphone-amp that is almost as red as Melisandre, the red version is available in “Used – Good” condition (cosmetic imperfections, damaged original packaging) for $146~ by Amazon Warehouse Deals. The new condition of the red is $195. Another day, another item unlocked at members-only Mass Drop, this time it is the TEAC UD-301 Balanced DAC/Amp going for $340 plus $10~ flat shipping. Offer runs for the next seven days. Shipment is estimated to be mid July 2016. Another day, another product is now fully unlocked at the Massdrop shopping club, this time it is the TEAC AI-101DA integrated amp with USB DAC going for $200 plus $9~ flat shipping. The offer ends in about eight days from today and has an early July 2016 shipping estimate. 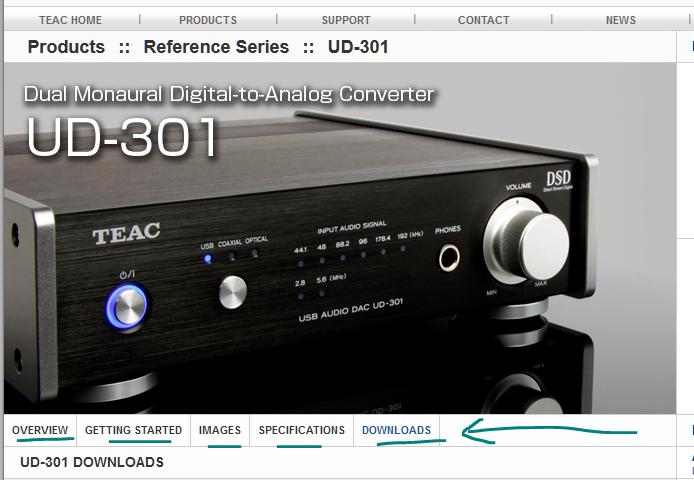 The Teac UD-301-BK Dual Monaural Digital-to-Analog Converter with USB goes for $400 in new condition at Amazon, but there are three listings of it in used condition, all by Amazon Warehouse Deals going for $312~ in “Used – Very Good” and $330~ in “Used – Like New”. Since this is not a mainstream product, it’s possible time will push the used prices further down, so even if $311 is not an interesting price for you, you may want to keep an eye for it for further price dropping. It averages 4.3 out of 5 based on 13 customer reviews. The Teac HA-P50 portable headphone amp is available for $152 in “Used – Like New” condition (original packaging, may be damaged) by Amazon Warehouse Deals (AWD) actual. There’s only one used listing of this at the moment. The TEAC TN-100 turnable goes for around $150 on its own, but for a limited time, Adorama.com is bundling the cherry-black color-scheme of the turntable with the white Audio Technica M50X headphones and a microfiber cleaning cloth, all together for $190 with free shipping. Only this particular TEAC-M50x color-combination is on sale. Another one of the offers running at members-only Massdrop is now fully unlocked in terms of price (aka the lowest price during the run of this offer), it is the TEAC HA-P50 Portable Headphone DAC/Amp with various audio inputs (analog, digital optical, two USB) going for $150 plus $8~ flat shipping. Offer ends in about a week from today and ships in late April 2016. Or if you are fond of used, you can get it for $143~ in “Used – Very Good” condition (minor cosmetic imperfections, damaged packaging) by Amazon Warehouse Deals. There’s only one used listing for it. It averages 4.3 out of 5 based on 15 customer reviews. Bundles week continues, now with a headphone and turntable “combo meal”. Adorama is offering the white Audio Technica M50x headphones bundled with the TEAC TN-100 Belt-Drive Turntable for $200 with free expedited shipping. The TEAC is available in two colors, and so is the bundle sale, you can get this combo with either the red turntable or the black turntable. The turntable goes for $150 on its own. It has USB, Line, and Phono outputs. The Teac HA-P90SD digital audio player (and headphone amp too) is currently on sale for $550 in the red color scheme (in-stock now) and the black color scheme (ships 1-4 weeks) at Amazon. Takes microSD cards up to 128GB. It has a multi-function input that takes analog or optical or optical (one input jack). Slider button indicates line vs digital. Plays DSD in addition to the usual formats (FLAC, WAV, mp3, aac, wma, etc). The black color scheme of the portable Teac HA-P50 headphone amp is currently available in “Used – Very Good” condition for $160 by Amazon Warehouse Deals.